Two Russian Navy frigates and a submarine have fired six Kalibr cruise missiles on Islamic State targets in Syria, the Defense Ministry said. Militants who survived the attack were later killed in airstrikes. 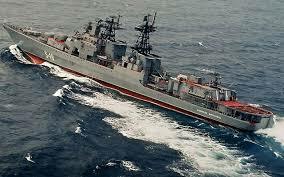 The missiles were launched from Russian Navy frigates, the Admiral Essen and the Admiral Grigorovich, as well as a submarine, the Krasnodar, from the eastern Mediterranean, the Defense Ministry said in a Friday statement. 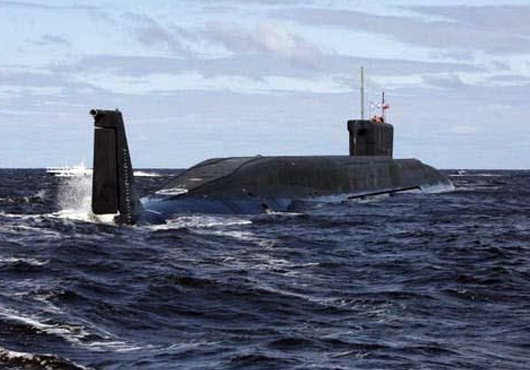 The submarine fired its missiles while submerged. The strikes targeted Islamic State (IS, formerly ISIS/ISIL) command and control centers, as well as ammunition depots in the Syrian province of Hama. Today’s precision strike hit a large IS ammunition depot near the town of Aqerbat, which detonated after receiving a direct hit, the Defense Ministry statement noted. The remaining targets were destroyed in subsequent airstrikes, the ministry said. Russia warned Turkey and Israel about the attacks via military-to-military hotlines, it added. Over the past week, Islamic State militants made numerous attempts to escape the besieged city of Raqqa and head towards Palmyra using a “southern corridor,” according to the Russian military. The terrorists are moving forces through rugged terrain to the Hama province during the night and setting up command posts and ammunition depots in large buildings there, it added. The movements of IS militants in the area are being monitored by Russian surveillance assets operating round the clock, the military said, adding that any potential targets detected will be subject to precision strikes by the Air Force. Earlier in May, the same warships fired four cruise missiles that hit combat vehicles and militants outside the Syrian city of Palmyra. According to the Defense Ministry, “[the ships] targeted an area east of Palmyra, where the militants’ heavy weaponry and manpower were located. The militants had moved there from Raqqa. All targets were destroyed,” it said. The strike was launched after a large Islamic State convoy, comprising 39 vehicles and 120 militants, was spotted outside the city of Raqqa, a Defense Ministry source told RIA Novosti at the time. “The terrorist convoy of 39 pickup trucks was detected and destroyed by the Air Force on its way to Palmyra,” the source said, adding that the vehicles had been equipped with large-caliber machine guns. Back in August of last year, the Russian Black Sea Fleet also fired Kalibr cruise missiles over unpopulated areas to destroy a command post and munitions production site of another terrorist group operating in Syria, the Al-Nusra Front, the Russian military said.